Great entrepreneurs from Lyon: Bruno Bonnell, Jean-Michel Aulas, Pierre Babolat, Marcel Mérieux, Christian and Thierry Boiron etc. 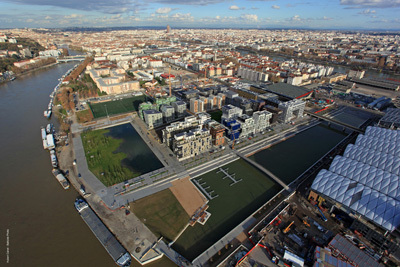 Leading companies located in Lyon: Sanofi Pasteur, Biomérieux, Engie, GL Events, Renault Trucks, Cegid and Rhodia etc. 5 business clusters (two operating globally): Lyonbiôpole, Axelera, Lyon Urban Truck & Bus, Imaginovea and Techtera etc. The partnership approach taken by Greater Lyon and supported by all the economic actors in the area (CCI, growth hubs, business incubators, business accelerators etc.) encourages business creation and helps to assure new businesses’ longevity during their first years. This dynamic means that Lyon is currently the most attractive city in France that has over 500,000 inhabitants (L’Entreprise-L’Expansion, 2016). Although business creation has fallen back at national level (by -5%), within the city of Lyon it has increased by 1.6 percentage points. Write to us using our contact form, or call us on 04 82 53 59 26, and we will provide solutions via our experts in business set-up and our dedicated services. Find out more about Lyon and the region’s demographic weight and its performance in national and international rankings.